The following is a case study for a Canadian Steakhouse Chain that Felton Brushes recently earned the pleasure of working with. 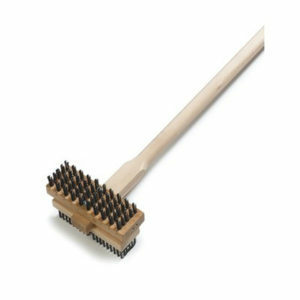 We visited a number of nearby locations to examine the grill brushes in use. The restaurants each ordered their brushes from different locations because the only one available from their distributor was of poor quality. The brushes would barely last 30 days and the wires were falling out on the grill. 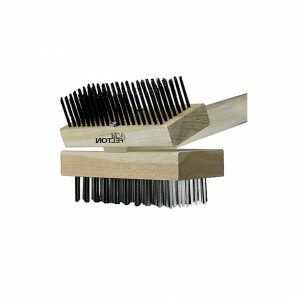 We conducted a test with a location to see how long our CHEF 100 brush would last in comparison. The results were showing that the CHEF100 lasted over 3x as long! We continued to work with our local restaurants and gathered feedback and took it to heart. They told us they wanted a brush with a 30” handle because 48” would be too long to use in their kitchens. Because of this, we developed the CHEF101 brush identical in every way to the CHEF100 except for its 30” handle. We then reached out to the chain’s head office to help develop a national program. 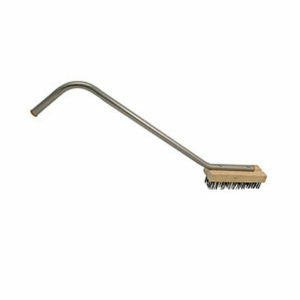 The chain was very eager to implement a safer grill brush in their restaurants. 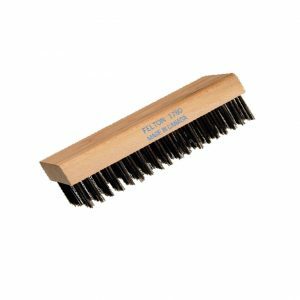 Felton worked with the Steakhouse’s chain to develop a direct ordering program, allowing each individual restaurant to order brushes as they needed from Felton with a simple email. The restaurants love the program because they are getting a longer lasting, easier to use tool that is also far safer!